GoPro has unveiled three new cameras to its range for action sports fans, with a big boost in specs and a super-cheap entry level model in time for Christmas. The GoPro Hero 4 Black features overhauled internals, including the ability to shoot 4K video at 30fps and extract 8.3 megapixel stills from your shots, which offers a huge boost in performance over its predecessor the GoPro Hero3+. While 4K recording at 30fps is indeed impressive, most people still play back at 1080p, which makes the 120fps recording at full HD even more exciting. GoPro says that the bump in framerate – double that of its predecessor – “virtually eliminates rolling shutter in most scenarios while allowing for time-bending slow motion effects." The company has also expanded its line up to include the GoPro Hero 4 Silver, a pared back action cam that only features 2.7k recording, and will be available for £290, a saving of £70 over the Hero4 Black. The most exciting addition, however, might be the GoPro Hero, which offers 1080p recording with all the features for a tantalising £99. Aimed at those who haven't jumped on board with GoPro yet – and those looking to fill stockings this Christmas – the GoPro Hero can capture full HD video at 30fps and 720p at 60fps, and costs just £99. 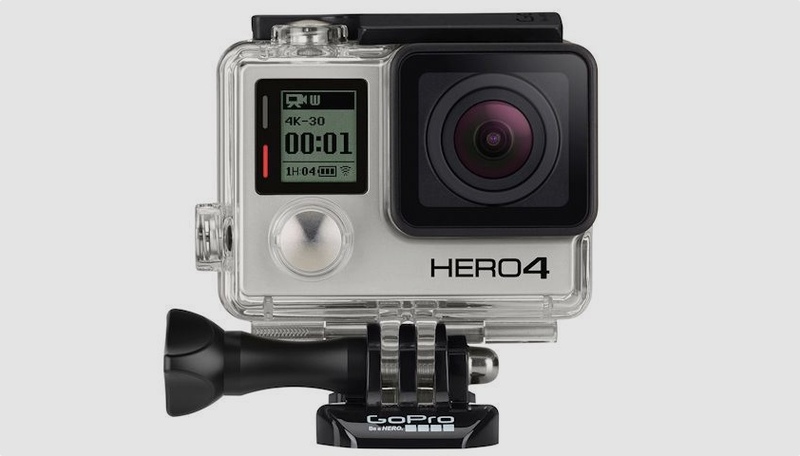 Hungry adventurers won't have to wait long either, with the GoPro Hero 4 release date set at 5 October.